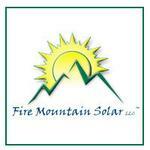 "Grid-Tied Battery-Based Inverter works well"
Over the past year (2015), Fire Mountain Solar of Mt Vernon, WA has installed several battery-backup grid-tied solar systems using the Outback Power's Radian inverter and batteries. Because they are Made-in-WA, customers benefit from the in-state incentive to help recoup their cost. It is an outstanding system backed by outstanding technical support, design and manufacturing. We look forward to working with Outback Power for years and years as the solar advantage becomes widespread.